Racial Justice Allies urges you to consider taking a pledge to support the hunger strikers in California State Prisons who are protesting the continued use of long term solitary confinement. Read the letter below and find further information here. From the Prisoner Hunger Strike Solidarity coalition in the Bay Area. This summer California prisoners are going on hunger strike beginning July 8. Their history-making strikes in July and September of 2011 brought national attention to the horrors of solitary confinement. UN Special Rapporteur on Torture, Juan Mendez, stated that any time over 15 days in solitary confinement constitutes torture. 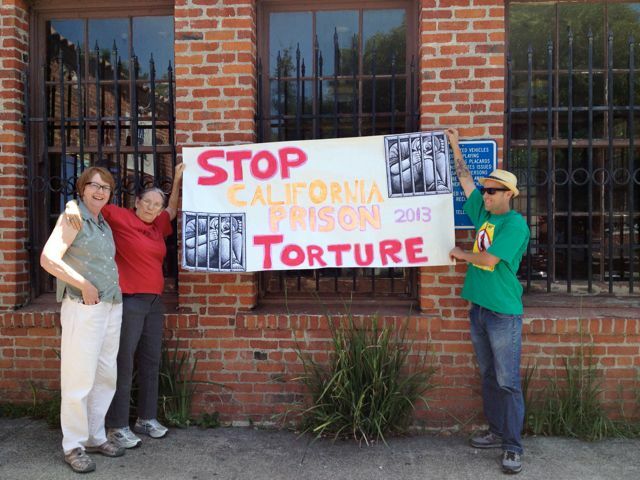 Yet many people in California state prisons have been encaged in solitary for 10 to 40 years! 1. The Pledge is on a Salsa program – Click Here. 2. The email sign up is solitaryistorture@gmail.com. Our goal is to get 1000 Pledges. That way collective responses to emergencies will really show the power of the people. Thank you in advance for signing the Pledge of Resistance.